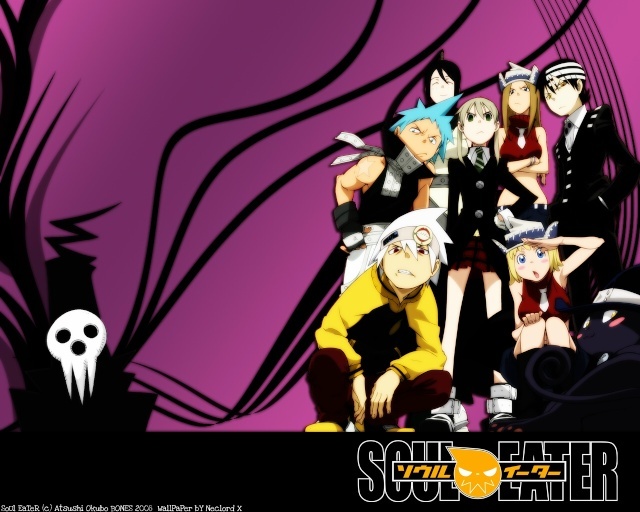 Welcome to SERP, a roleplaying site for the all time favorite anime, Soul Eater! Location : Where the tea flows freely. "Hearing you say that is the best, it makes me so happy," Ana said with a big smile and blushing cheeks. She stepped back to Luna's side to continue walking on. "So, what do you want to do now?" she asked. Glyndwr. Utility Meister, Type 2. Other. The Corsair. Full Death Scythe. Gyles Kindleberry. Full Death Scythe. "I don't know... I really don't know..." Luna replied, completely out of ideas. She even scratched the back of her head, hoping it would help her. Even that strange magical tranquilizer didn't help. "Hey, by the way, should I put soul protect on or... do you want me to remain like this for a little longer?" The witch asked, just to make sure Ana didn't mind her being so... out of character because of her magic. "I don't really mind, all in all. You're still you. It's nice to see you with a little more confidence sometimes, though." Ana said. "We could hang out at my place again, if you like? I can't really think of much off the top of my head right now." "T-Thanks... I'll cast soul protect once this effect gets too strong." Luna said, smiling slightly. Well, it was nice being a little more confident than usual. When Ana suggested going to her place, she suddenly remembered that one weird feeling caused by Ana during their snuggling time... That strange sensation. Luna suddenly blushed. Still, after so much time, she was unsure what that was. Still, a part of her wanted more. Luna pushed those thoughts away and looked at Ana with a smile. "Sure, let's go. We don't have anything better to do anyways at the moment. Besides... it's a yet another opportunity for some snuggling..." The witch said. Ana laughed briefly. The two of them really did want for little except their own company when they were together. "Pretty much. You can stay over again, too, if you want. At basically any time, actually," Ana said, changing direction to go towards her house, which wasn't too far away from where they were anyway. "As long as it's not a problem... Eheheh... I love sleeping with you." Luna said with a smile. Even though she was under the effects of her magic, she retained her innocence. That's why she didn't notice that her words could be slightly misinterpreted by her beloved girlfriend. At least this time around, Ana knew what the girl meant straight away, despite the double meaning. We haven't done that just yet, she thought, though saying so would lead to Luna prodding her with bids for an explanation which Ana was still not ready to give her. "Me too. I fall asleep at least twice as fast as usual. It's like that," she said, punctuating the sentence with a snap of her fingers. "At least as soon as we stop talking." Luna giggled at her partner's words. "And I don't have any nightmares. Besides, I feel so full of energy in the morning..." The witch said, her voice, in the end, trailed off slightly as if there was more to it. There was, in fact. Luwa was always full of energy after sleeping with Ana because seeing her beautiful and sweet girlfriend in the morning would always make her happy. Also, for some reason, she was indeed sleeping better, but that wasn't important. "Yeah, that too," Ana agreed. She felt like she was able to wake up more easily after sleeping with Luna; waking up didn't make her angry at the world. It's a big improvement. "You should definitely stay over more often, if it's so much better for both of us," she said with a grin. She wasn't going to miss any chance in convincing Luna to come over more often. "Hm... I'd love to! But see... I don't want to be a trouble, okay? I mean, I can imagine that most parents wouldn't be too happy to have their daughter's partner stay over often." Luna said calmly. Despite being under the effects of her magic, she still worried about such things. It seemed like her desire to be on good terms with Ana's parents was stronger than the magical tranquilizer. Speaking of her parents, she was yet to meet them. "They won't mind," Ana said, sounding quite sure of that, though the reason for that was yet to be seen. "You'll see for yourself," she then added. "Huh? What do you mean?" Luna asked, clearly curious about the meaning of Ana's words. She didn't really expect to get an answer though, for obvious reasons. "You'll see," Ana once again said, indeed not giving Luna an answer. At this point the two girls were coming up on Ana's house. As she had before a week prior, Ana unlocked the door and gestured for Luna to come inside. Luna took her witch had off and walked into the house slowly. She seemed calmer than during her first visit there, but it was for obvious reasons. Ana closed the door behind them once she took her shoes off and once Luna was inside. Taking Luna's hand, she began to lead her to her room. upstairs. "Is that your girl, then? Didn't think she'd come by in the outfit and everything," a man's voice from the living room called out as they went past it. Luna simply followed Ana wherever she was leading her. After all, she was just a guest in her house. She wasn't expecting to hear a comment about her outfit so suddenly and without a warning. At first, she almost jumped in place after hearing the voice, but soon her face turned red from embarrassment. The witch looked in the direction of where the voice had come from. "Hey there," The voice said again, though now it was clearly a man that could only be one person. His hair and eyes were the same colour as both of his girl's, his features were softer; clearly, Ana and Lyra's looks came from elsewhere. Ana sighed as she took Luna into the living room. "That's Dad," she said to her girlfriend. "And yes, this is Luna," she then said to her father once they were close enough. Ana's father stuck out a hand towards the girl from where he was sitting, "It's Gyles." At that point, even her magical tranquilizer couldn't help with how stressed Luna became. She wanted to give Ana's father a good first impression, to present herself in the best possible way. The witch became so stressed that she almost forgot to take her glove off for a handshake. She did that in the last possible moment and with a trembling arm, she finally shook the man's hand. "I... I... I'm sorry f-for the outfit... We... We've just returned from a m-mission." Luna explained trying so hard to remain calm in that situation. "You're a real bundle of nerves, aren'tcha?" Gyles said after shaking Luna's hand, clearly amused by it. "Or am I just that scary? I promise I don't bite." "We got our second soul," Ana said, putting a hand on Luna's shoulder. Perhaps that would calm her down a bit? Honestly, Ana wasn't counting on it, considering that Luna was now stuttering while she was meant to be calm due to her magic. As expected, Ana's touch didn't help much. Well, maybe just a little. "I-I'm just shy, that's all, sir" Luna said, smiling slightly. 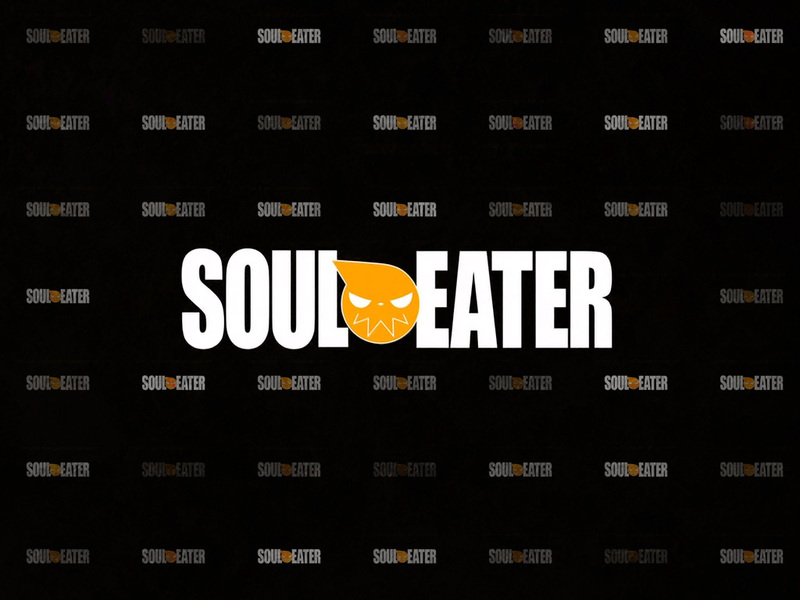 "A-And y-yes... We got our second soul. Ana is amazing." The witch added, still amazed by how powerful Ana can be with her help. "Of course she is, she's my daughter," he said, smiling at the two of them. "And 'sir' is what people call my dad, so just call me by name or something." "Don't you try to take credit," Ana said jokingly. Once her dad was done talking, she took Luna's hand again and lead her out of the room back towards the stairs. That was enough of that. Luna got confused when Ana's dad told her to not call him "sir". How was she supposed to call him then? She couldn't just use his name, right?! That'd be rude! It such things were possible, smoke would start coming out of her head. Luckily Ana came to the rescue. When she took Luna's hand, the girl finally managed to nod at the man's request. Then she just followed Ana to her room. "I'll leave you two alone, then!" Gyles shouted up after them once they were some ways up the stairs. At which Ana just huffed in irritation. He just has to say something like that. "Honestly, both of my parents are so serious at work that they just don't bother with Lyra and I. Beyond making sure we're safe, they just don't act very parent-like," she explained on the rest of the way to her room, leading Luna inside as she was about done talking. Luna blushed at the man's comment but quickly bit her lip when Ana explained why she was so irritated with her parents. Well, at least she had them but... Luna had to agree that they weren't too fair towards their children. Luna more than anyone knew how necessary a parent figure was important in a child's life. "I... I see... I'm sorry to hear this..." Luna said quietly. She was being honest. Luna looked again around Ana's room as if she wanted to check whether something had changed in it since her last visit. Then she placed her had on a chair and took her robe on. Underneath it, she had her white shirt. After folding the robe, she placed it in the hat and looked at Ana. "At least now I don't have to worry about upsetting someone by visiting you often..." Luna said with a slight smile, trying to find something positive in the situation. "Huh?" Ana seemed confused about why Luna would say she was sorry to hear. After a moment, she realised, "Oh, don't get me wrong, I wouldn't want them to be on my case all the time. They're fine as they are. I might seem annoyed now, but that's only because of him saying weird stuff. Anyway, they can only be as they are because they brought us up well enough that they can trust us," Ana explained, now, that she wasn't actually complaining. "And yeah, my mother is about the same, so you really don't need to worry about them," Ana said as she went to sit on her bed.